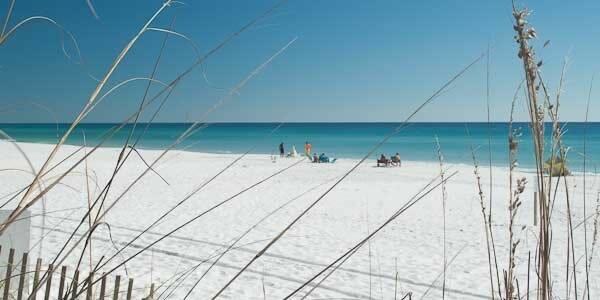 The pictures on this page give visitors a glimpse of what makes Destin such a popular destination. If you have photos you would like added here please contact us. 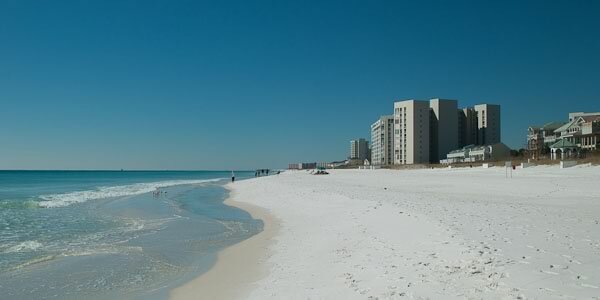 Looking at the Destin beachfront over the sand dune sea oats. 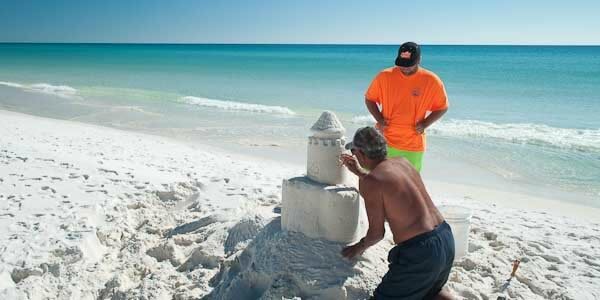 Two people putting a lot of effort into building a sand castle on the beach. People like to step out of their condominium directly onto the beach. 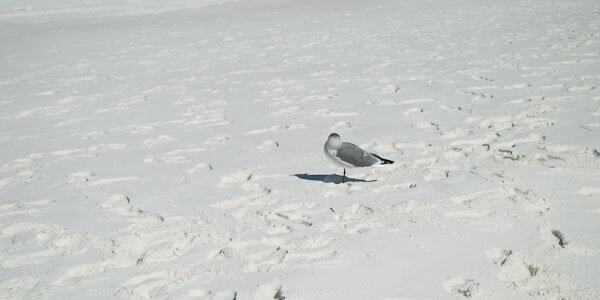 A lone seagull on a sunny day. 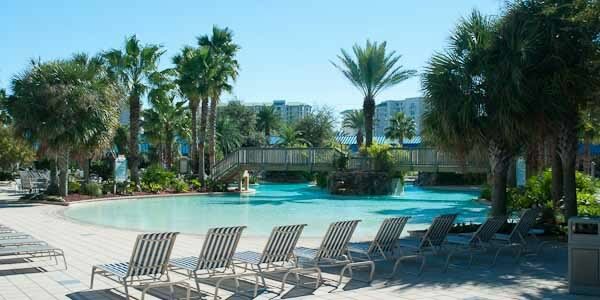 A nice view of the pool at the Palms of Destin Condominium.